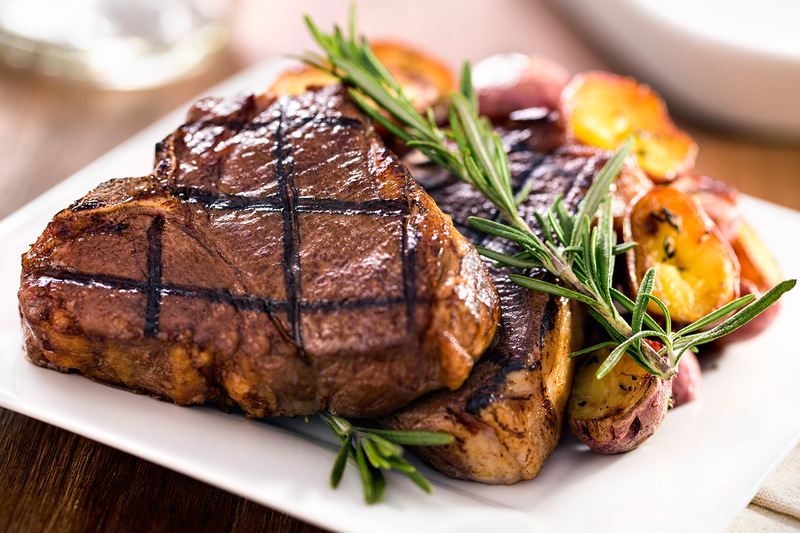 Suggested Wine Pairing: Notre Vue 2014 Bordeaux Blend (Cabernet/Malbec) A sure bet with grilled meats is a strong, balanced Bordeaux-styled wine. The Bordeaux Blend offers flavors reminiscent of wild dark berries, vanilla and cedar that pair perfectly with the rosemary-infused gaminess of the lamb chops while the fine tannins of the wine tame the fatty nature of the meat refreshing the palate. Bon appetit! Combine the garlic, rosemary, salt, pepper, lemon zest and olive oil in a measuring cup, making the marinade for the lamb chops. Pour the marinade over the lamb chops, making sure to flip them over to cover them completely. Cover the dish with plastic wrap, and marinate the chops in the refrigerator for as little as an hour or as long as overnight. The longer they sit in the marinade, the better! When you’re ready to grill, heat your grill to medium-high heat. You want to sear them beautifully. Grill the lamb chops on a high heat for 2-3 minutes per side, then lower the heat to medium and allow them to finish cooking for another 5-6 minutes. When the lamb chops reach an internal temperature of 150 degrees, it’s time to take them off of the grill. At that point, they’ll be about medium. You don’t want to cook these well done as that will dry them out. Place the cooked lamb chops on a plate and cover with foil, allowing them to rest 5 minutes before serving. They are perfect, served with roasted asparagus. A perfect Spring plate! !